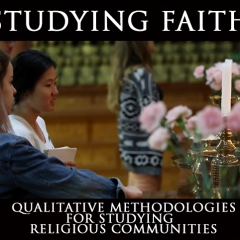 2 Is it possible to study religion objectively? 6 Why should I use interviews in my research? 7 Whom should I interview? 8 How do I prepare for an interview? 9 What are typical interview questions? 10 What are some techniques and strategies for interviewing? 11 How do I analyze my interview data? 12 What is “participant observation”? 13 What data do you collect in participant observation? 14 What are the ethical considerations of fieldwork? What are the guidelines for objective, reliable and valid research? Be forthright about you see. Strive to avoid being swayed by biases, prejudice or personal wishes. Honesty also means recognizing how your own personal history and identity markers such as race, gender, language and class can shape your perception about what you are observing. You can help your audience understand the perspective or social position from which the research was conducted by telling them how you integrated into and interacted with the community you are studying. By sharing how information was gathered, you enable anyone else to repeat your research and draw similar conclusions. This demonstrates the reliability of your research. Why is honesty important for conducting fieldwork? In this video, sociologist Andrew Johnson talks about honesty helped him gain the trust of his subjects while doing his fieldwork in a prison. We want our conclusions as well as our methods to be trustworthy and solid, accurately reflecting the data we collect. The most likely source of invalid results stems from our inability to draw appropriate conclusions from the information we have found. A result might be invalid if it claims to have proven much more that can be reasonably inferred from the data. For example, if you have attended two services at a Buddhist temple, you are unlikely to be able to make general statements about what Buddhists believe or how Buddhists meditate, without making it very clear that your conclusions are limited to a very small number of observations. Also, you will inevitably come to observe and select some things, thereby ignoring others. Be thorough and be clear about your use of research methodologies and other investigative tools in order to provide reliable and valid data that support your findings. A key feature that differentiates qualitative research from other research methodologies is that the knowledge or “data” is created in and through the researcher’s relationship with those he or she studies. Thus in addition to asking incisive questions, paying particular close attention to activities, researchers need to cultivate empathy, open-mindedness and imagination in understanding the world as their research subjects do, cultivating a healthy skepticism towards their own enculturated world views. Therefore, be willing to consider others’ perspectives as a means to recognize that people from different religious backgrounds or faiths may understand and organize the world in a radically different way from yourself. Be aware that your own position in the world—in terms such as your race, gender or class—will shape what and from whom you are able to learn. Is it possible for a researcher to be objective? In the following video, anthropologist Nalika Gajaweera discusses how being open-minded helped her maintain objectivity while conducting qualitative research. 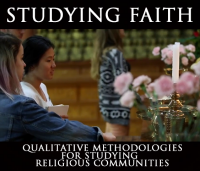 What methodologies can I use to study religious groups? Is it possible to study religion objectively? What are the advantages and disadvantages of studying my own religion? How do you choose and gain access to a field site? Why should I use interviews in my research? What are typical interview questions? What are some techniques and strategies for interviewing? How do I analyze my interview data? What data do you collect in participant observation? What are the ethical considerations of fieldwork? How do I apply social science theoretical frameworks to make sense of my data? How might a journalist and a social scientist approach religion differently? How do I take good photography, video or audio in the field?